Yes, we know, its still summer, but we like to be organised! Its that time of year where we start thinking about our Velodrome sessions to keep us in peak fitness over the winter months. We have some exciting news this year. We are partnering with our friends at Hargroves CC, to allow both clubs to offer more velodrome dates for the membership! Here are a list of dates and times for you to keep free! Price will be £15 for a 3C or HC3 member and £20 for a guest. If you need to rent a track bike and shoes, these are available at an extra cost, have a chat to Tom Penrose for more details. More information to follow as we get closer to the dates, but please do let Tom Penrose know if you are interested in sessions. We will be asking for payment around a month in advance, which means that if you would like to attend the first session, please do get in contact now! Another year and another Tour of Cambridgeshire. This is big weekend of cycling as it encompasses a TT, sportive and race all in one jam packed weekend. The race allows for qualification to the UCI Grand Fondo world series, so it’s no small feat for the competitors involved. Lots of our members lined up on the course, ready for a fast paced day of racing. Some say that this is the hardest day of racing in the calendar, which really shows how much effort goes into this closed roads event. It was a very hot day, making it that much harder for the field of riders and adding one extra challenge to an already difficult event. 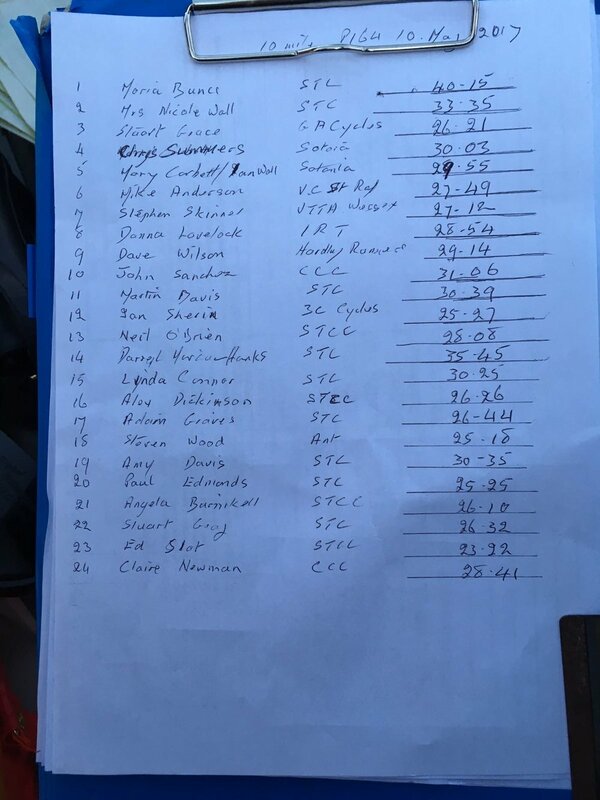 All of our members that raced beat their previous times and expectations, this was shared with the club on social media and there was a humbling amount of proud congratulations from supporting members about how exceptional the individuals had raced. 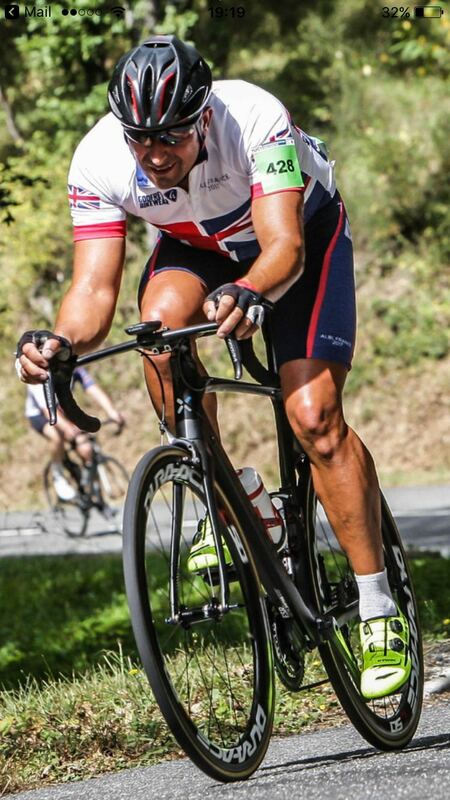 Stewart Ward a second claim member, raced the Chrono (Time trail race) and the Sportive on back to back days. He had a fantastic weekend of racing and some strong finishing positions. Caroline Cooli unfortunately punctured on the start line of her sportive race making for a really disappointing day which was over before it begun. Don't worry Caroline, you will be back with vengeance soon to finish what you started i'm sure! Emily Warner and Jo Payne both finished together, with an exceptional time of 3:41 and a real achievement after lots of hard training through the winter. The last 10 miles sounded particularly tough for the pair, but they got their head down and emptied the tank to get across the line. Very well done. Richard Bradley had a crash mid-way through the race as he went down on the tarmac hard after hitting a pothole whilst in the middle of a fast bunch. His handlebar snapped in two leaving him with only one half of his bars and one shifter intact. He then showed amazing grit and determination by getting back on his bike and riding one handed, completing the race and course and still beating some fellow competitors in the leader board. To say this is astonishing is an understatement, what an incredible ride. Steve Lane found his way into a fast bunch for the first half of the race, but at the halfway point, after seeing Rich on the side of the road with a broken bike, stopped to help and ride with him to the finish. A true competitor, showing the real sprit of the 3C club. Not only that, but he still finished the race in under 4 hours. All in all this was a challenging race for everyone and a HUGE achievement for the 3C Cycle Club. 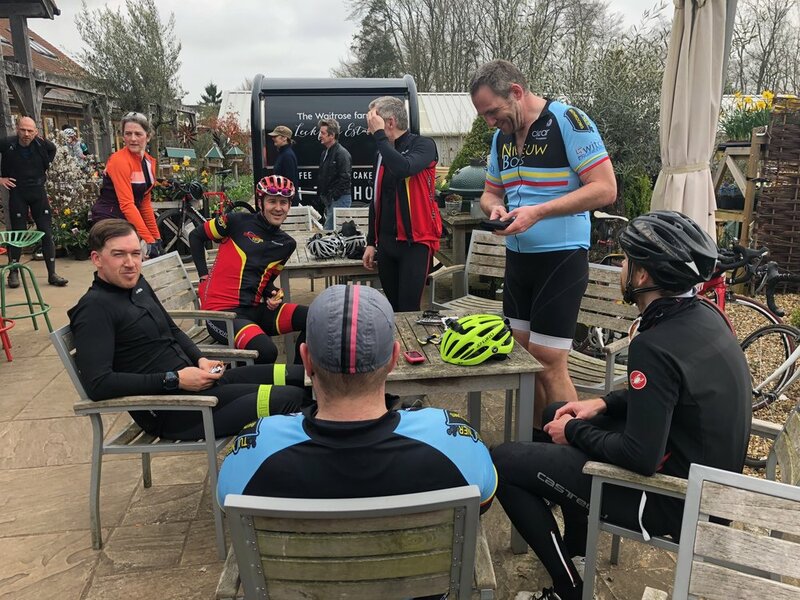 On an overcast, muggy day in April all the New Forest clubs came together at Hargroves Cycles to ride together in the forest inter-club ride. 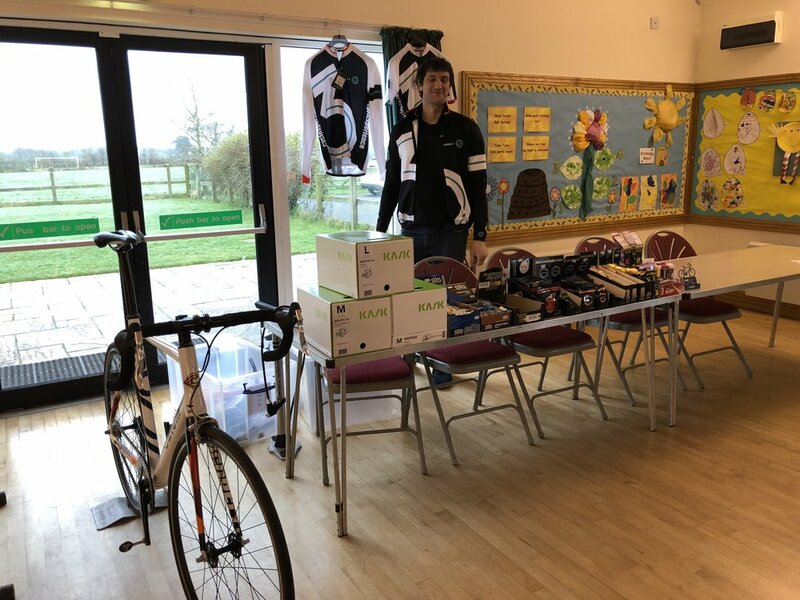 The morning started at the Hargroves shop, with an excellent selection of coffee, cake, gels and goodies to raise the riders spirits before embarking on the ride. 56 riders in total attended, which is a brilliant example of the buzzing cycling community in and around the New Forest. 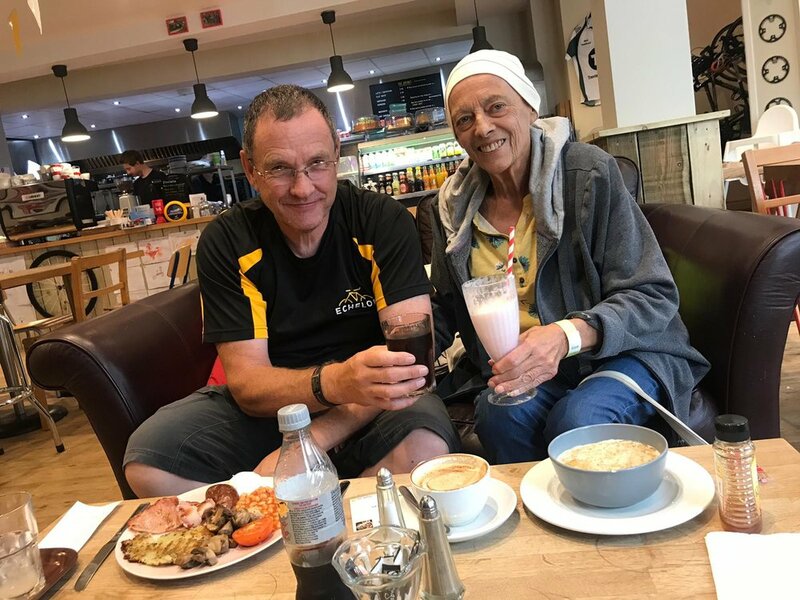 After 25 miles out on the forest roads, riders came together at the Leckford estate for coffee and snacks where they were joined by 3C supporters Ian and Sue! An extra 30 miles completed the loop back round to the shop where more coffee and cake was waiting. 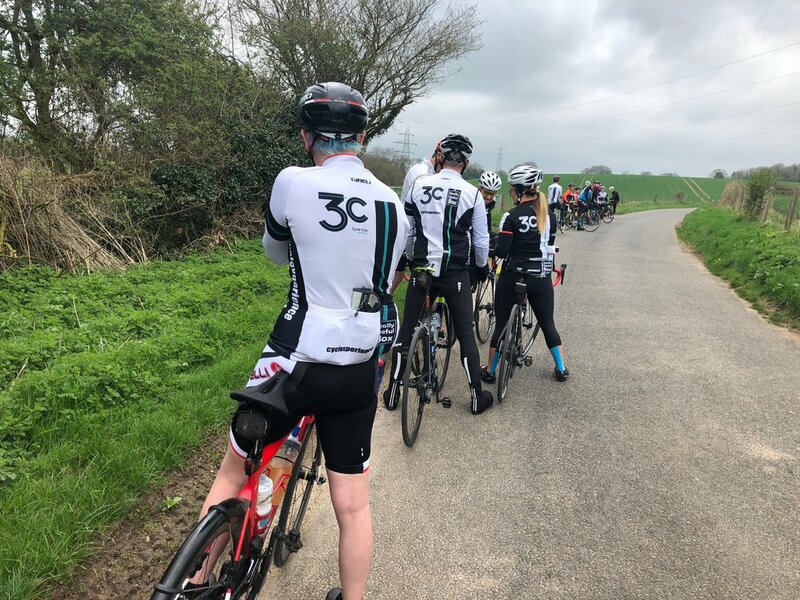 Unfortunately the weather chose not to hold up for the last 15 miles, allowing riders to show they can abide by rules #5 and #9, still with smiles on their faces! 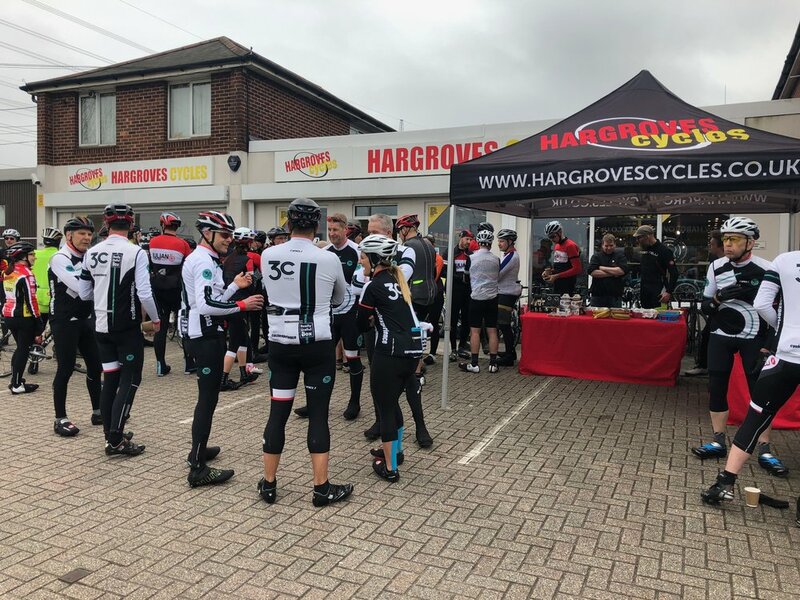 Thanks from all 3C riders to Hargroves CC for the excellent organisation and refreshments, a brilliant time was had by all. What a good start to the season! For many, this was the first time trial of the season and what a way to start! A cool, dry evening in April on the beloved P164. Bournemouth & District Women's Cycling Association hosted the event and a wide range of ages and abilities competed along the course. All in all, a fantastic start to the new season. 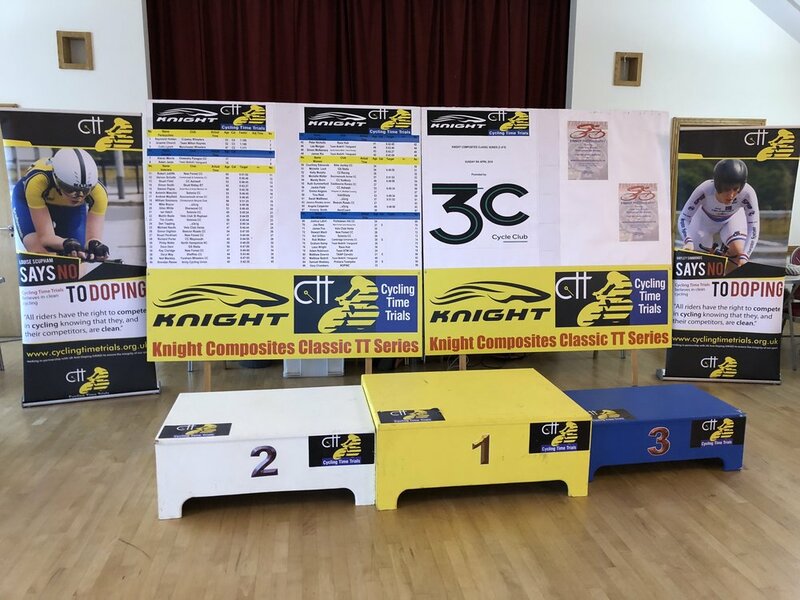 3C cycles will be hosting a National TT event next year and we need your help! We are asking for volunteers on Sunday April the 8th 2018 to help setup, run and breakdown the event. If you can, please save the date and let any of the committee members know so that we can gauge numbers. More details will be released in the new year. So we had a beautiful week of weather leading up to the ‘wiggle’ Devils punch bowl ride! With a keen eye on my weather app, Saturdays weather looked Grim to say the least..... typical! But I wasn’t about to let the weather bring what would be one of the best 3C rides of the year down that’s for sure! There wasn’t much love coming my way when I first put out the message that we would be leaving home for the start at 6:30am, which in turn turned out to be wet, windy, cold and dark!!! We all got on the road on time (even Miss Warner!) making our way to Surrey for the start. Luckily the temperature was good, so without further ado we saddled up and headed for the start, having all come to the decision that we would take on the standard at 54 miles and not the longer epic 79 mile route as first planned. Off we went, I was very relieved the rain had stopped, phew! The route we took was well planned and took in some lovely scenery and some good climbs, and over the 54 miles we managed 3200ft of elevation. Unfortunately there was a little spill, not one of ours thankfully just somebody riding with us at the time. We made sure she was ok and got back on our way. After lots of great banter and a few chain offs and a short pit stop at the feed station (for some much needed cheesy Doritos), the end was in touching distance. 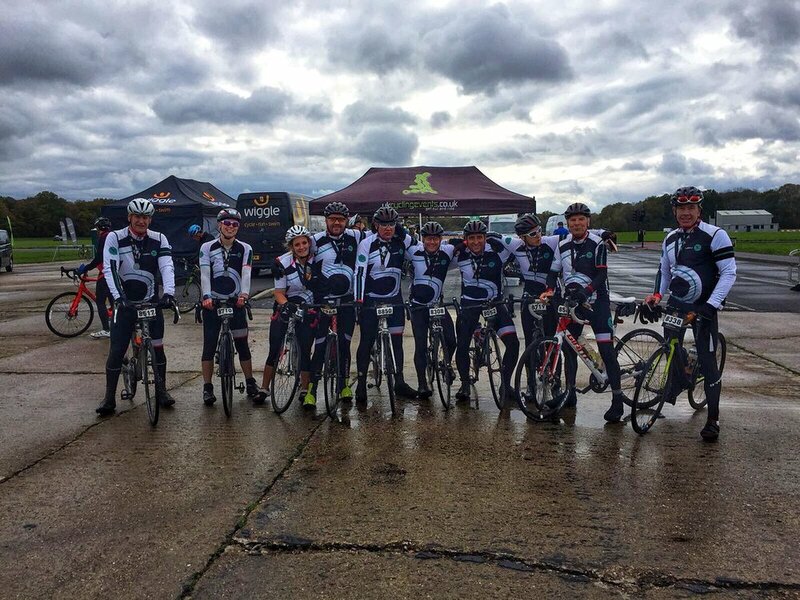 The rain had dampened the day a little (and made for some dirty roads, and even DIRTIER bikes) but certainly not our spirits that’s for sure, the 10 of us crossed the line 2 by 2 as always looking ever the pro (ish) team! All in team tops! Finish line crossed, team photo taken, socks and medal got, it was time to reload the cars and head for a very much needed panini and a Diet Coke! As always all are welcome to future away rides, which are posted here and on the Facebook page. Alas, the time for darkness, ice, snow and rain has come. The clocks are turning back this week and this brings the summer to a close. From this Sunday (29th October) we will be back on the winter ride schedule, which means that Sunday rides will now start at 09:00. Enjoy the extra hour in bed! We will once again be running turbo training sessions this winter, with a set of structured and coached sessions on a weekly basis. These sessions have had brilliant feedback in past years, with members who participated feeling much stronger at the start of the TT and summer seasons. These sessions are suitable for riders of all ability and fitness and are a fantastic way to ensure you are spending quality miles on the bike during winter. Location of the Dibden Purlieu session will be released in the next few weeks as this depends on numbers signed up. Essential - Bike, Turbo Trainer, Heart Rate monitor, Cadence sensor a floor mat (old carpet will do), 2 bottles of drink, towel, changes of clothes for afterwards. Desirable - Recovery food/drink, bike protector, power-meter. Please contact Ian Sherin or Tom Penrose with a message on email/whatsapp if you wish to attend these sessions, or if you have any other questions. The days are getting shorter and the velodrome season is fast approaching. As you may already be aware 3C are organising 4 track sessions this winter for all abilities of riders. The sessions are coached by our very own Nick O'Hara and local track coach Dave Jowett down at Calshot and are superb training whilst its cold and wet outside! The first session will be on the 29th October 14:00-17:00 and we are currently trying to fill all the places so that members get an excellent winter training session. The sessions cost £20 and if you are interested, please contact Tom Penrose on email (me@tpenrose.co.uk) or WhatsApp to signup and pay. If you do not have a track bike, these can be rented for an additional cost on the day. It would be great to get as many of you as possible down there for these sessions. 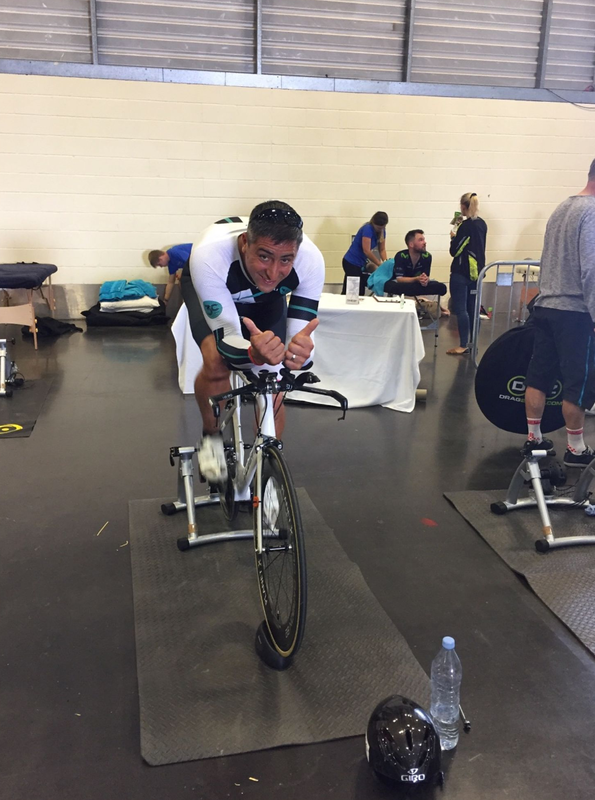 The sessions are three hours which should be enough to enable us to coach you to a reasonable level of competency on the boards and for those experienced riders to hone their skills and achieve some significant dry training. 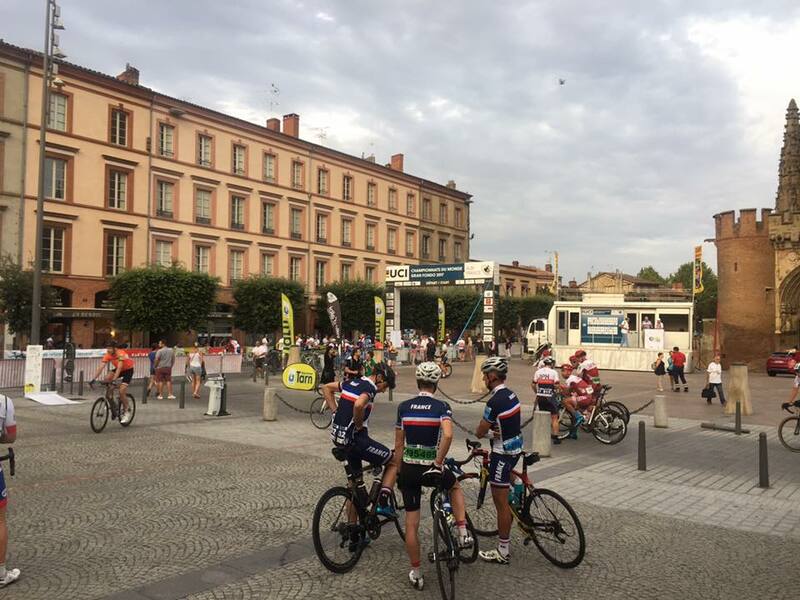 Three of our 3C riders made it through qualifying at the UCI Tour du Cambridge and won their spot to compete in the Grand Fondo world championships in Albi. This is an amazing achievement, giving them the place to compete for their country with some of the worlds best riders. Rich Bradley has written about what it feels like to be part of such a prestigious race. Well, don't really know where to start..... arriving in Toulouse airport Friday rush hour, I really wasn't expecting it too be so hot! Blimey it was baking. I was anxious as I thought I would be, but I hadn't factored in the heat 36 plus degrees! Sunday arrived quicker than expected after a nice gentle ride out Saturday morning with Steve Lane (3C) and about 100 of the Great British team, we covered the first 20km and the last 20km of Sunday's race course and it was HOT. This heightened my anxiety, as I was concerned about 100miles in this heat! Well no time for too many nerves now, I made it to the start line with plenty of time, thanking the stars that it was grey and overcast, but still warm! Unfortunately the UCI had made a complete shocker with the start gates..... anyway I didn't want that to spoil my day, my number colour was shown I made my way forward thru the crowds to have my bike checked for a motor! To the start line and away we went, incredibly fast as aways with a road race, the first 2.5km were neutral, but as ever everyone went off at warp speed. Finally it calmed down after a few crashes, until the first climb which broke our age group into two, I was in the latter with about 100 other riders, we stayed like this until the first 8km climb. By this time however, the sun decided to make an unscheduled appearance, which made the temperature soar to 37.5 degrees! Our group fractured into smaller drawn out groups as we all settled in for the climb, over the top we went and a lovely long decent back down, then along the valley floor onto the next climb which was slightly longer than the last, again the peloton I was in fractured once again as it came slightly more difficult for me to hold on to my group. Ouch, that climb hurt....... A lot!! Again a nice very fast decent, to about 100km and the 2nd drink station which I was very much looking forward to as my fluid situation was bleak! Only to find to my dismay there wasn't any! This was not good, UCI again had let us down, thankfully some very kind locals had rallied around and were handing out warm water, but it was like nectar after 20km without any!! Anyway, the kms ticked away with a lot of up but not much down! One last push to 130km to water station 3.... guess what no water, again UCI have a lot to answer for! Again a young girl handed me a reused bidon with the only water I would have for the rest of the ride! With out her bottle I would not of made the end! I really do mean that! Now it was the last push for the finish, which seemed for ever the 20km board came then the 10km, I'm sure they were 100km apart as I was running on empty at this point! Turning off the main road into the Albi race circuit I knew I was nearly there, navigating a few bends then there in all it's glory the finish line! Get in. Lots and lots of lovely water, two bottles drunk and one all over my head! In conclusion, I've never had to dig so deep on my bike in an event. It was all about finishing and finish I did along with my good friend Steve Lane. The event overall was an experience I'll never forget, the journey there and pulling on my countries colours I felt truly honoured. Thank you to all my great friends in the 3C club for all the encouragement and kind words, you know who you are! Very very well done to Rich, Steve and Stew who all donned GB jerseys and competed. We are all very proud! 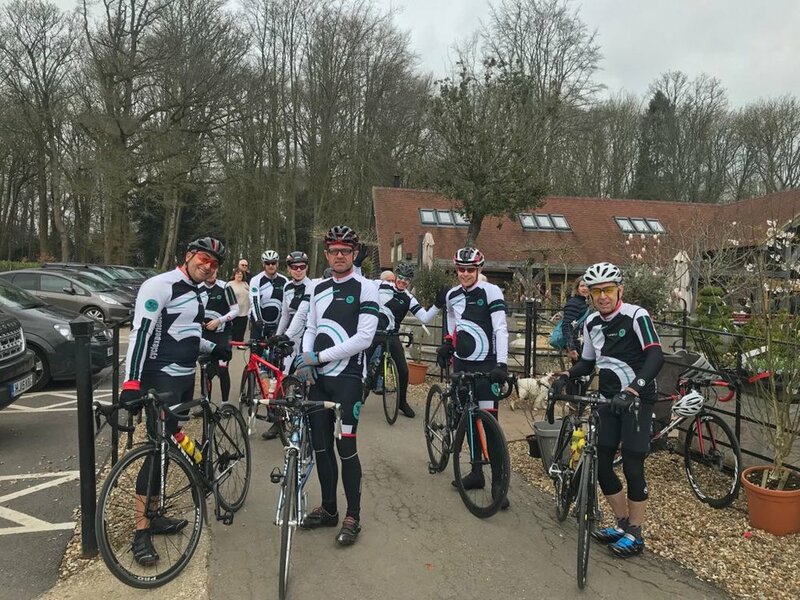 3C riders ventured out of the forest to take part in the Tour du Ford, starting at the Hendy Ford showroom in Eastleigh and riding around the local area, taking in the scenery. Lots of local riders turned up to support the event with 3C taking the title for most club jerseys spotted throughout the ride! On the 20th July, 3C jerseys gathered to take part in the P164 organised by the Southampton Tri Club (STC). Em Warner was lucky enough to be born on the 20th July, so henceforth, the TT was known as "Em's Birthday TT"! Excellent work to these three who did not have an easy first event! All riders had fantastic times. Special mention needs to be made to Ian, who after several weeks of injury, had a superb ride as one of the the first ones back on his bike. All 3C riders were cheered on with the great support from other members of the club and their families. This goes to show what a fantastic club 3C has become! To continue the birthday celebrations, the ride was followed up at the Drift Inn with cheesy chips, drinks and even a home made carrot cake courtesy of Em! Fantastic effort all round and maybe a few new budding TT riders?!! "⁠⁠⁠⁠⁠Aren't we a lovely bunch. 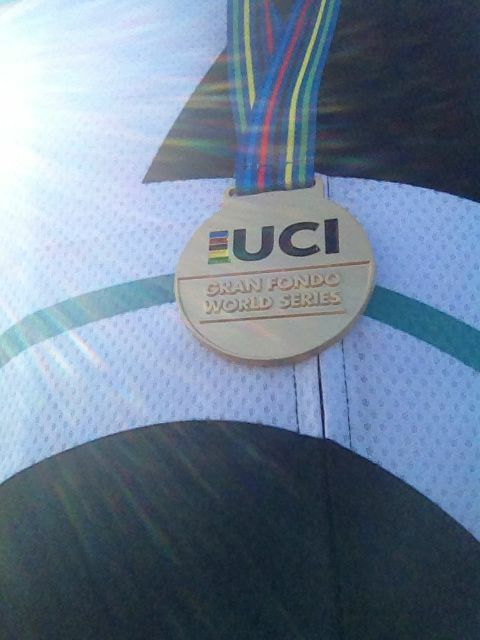 Was great to do something new with loads of support from everyone, especially those round the course cheering us on. 👏🏻 Might even do another one. 😂 👍🏻"
" As always a great 3c night 👍 🚴🏼🚴🏼🎂🎂🍺 and a great performance by everyone,, well done to you all 👍👍👍 topped with cheezy chips and gorgeous Carrot cake 🎂🎂"
Another very warm evening with some light winds saw riders take on the David Lloyds P164 10 Mile TT. Our very own Ian Sherin took part, taking the silver medal the day after racing a 10 mile PB on Sunday! These TT's run regularly during summer and are a fantastic course to start on, as many members have already ridden the roads on club rides. Ian finished in second place with a time of 24 mins and 42 seconds. 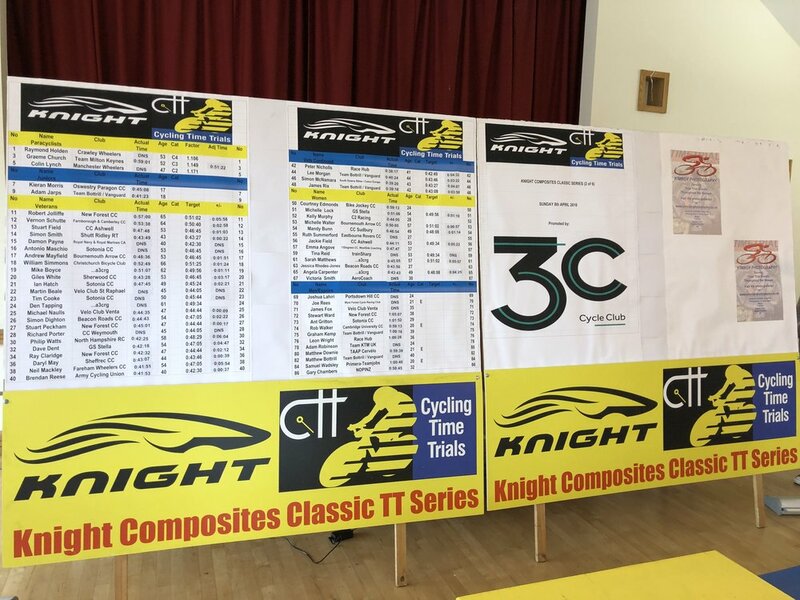 This weekend was a very strong one for 3C riders, with lots of our members heading northbound for the UCI Tour of Cambridgeshire. 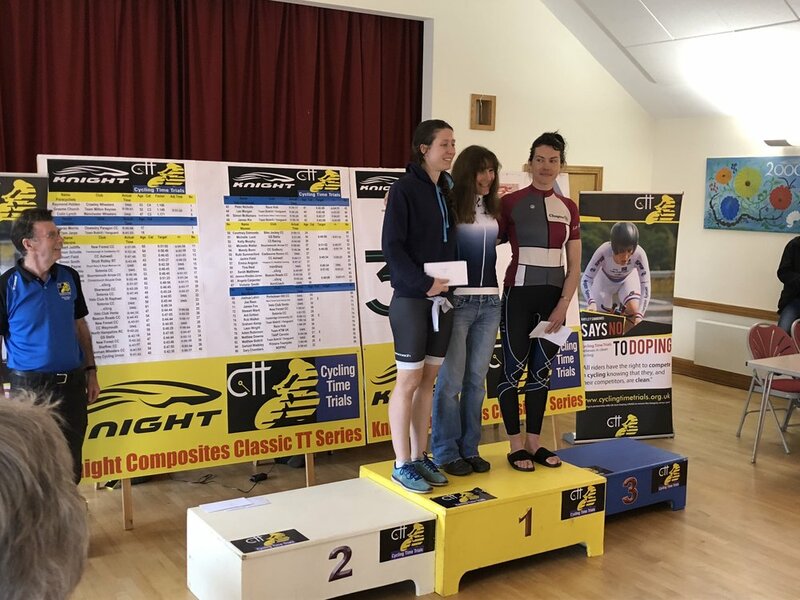 The event is split over two days, with the 'Chrono', a 16.4 mile solo time trial taking place on Satuday and the 'Grand Fondo' a 79.3 mile road race on Sunday. Competitors can enter either race, or if they are feeling particularly strong, both! All of the 3C riders had superb times, with some particularly impressive gains over last year. 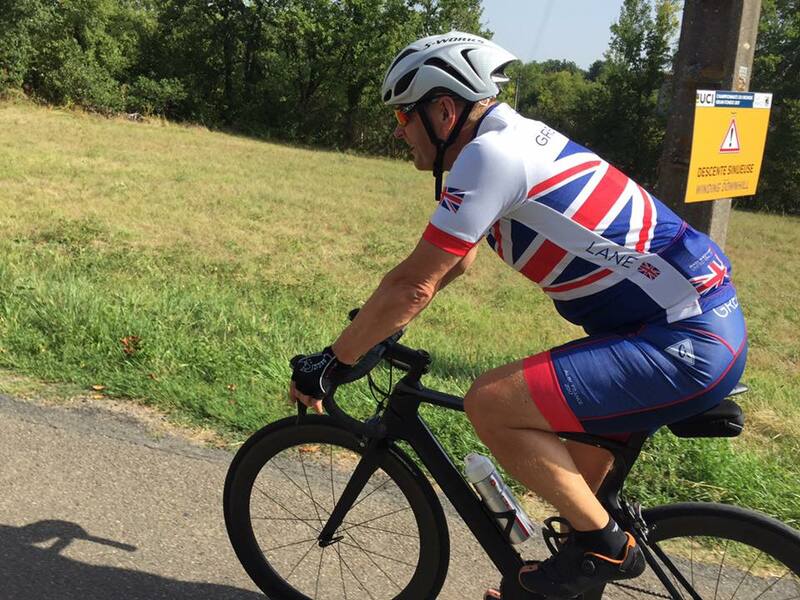 Steve and Rich both set such fantastic times in the Grand Fondo that they qualified to represent GB in France later on this year, an incredible acheivement. A superb effort from all riders and some very proud club members! A very big well done to all those who raced. Superb.